Waterproof casts are a light weight and waterproof alternative to traditional plaster casts. They are generally more comfortable and easier to deal with, and you can swim (but not in sandy beaches) and shower whilst wearing them. Waterproof casts can be a great option for children and the elderly. Aside from being lighter and waterproof, they are also healthier for the skin. 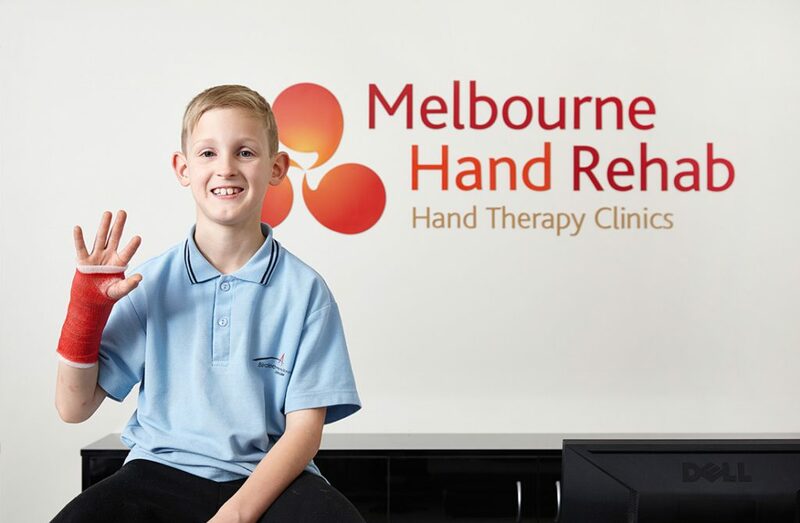 All Melbourne Hand Rehab clinics have the resources to make customised waterproof casts, however they are not suitable for all injuries. During your appointment your hand therapy practitioner will check that your injury is suitable for a waterproof cast. If you think a waterproof cast might be right for you, please mention it when you make your appointment. Click HERE to conveniently book an appointment online. For enquiries and appointments please call 03 9458 5166 or conveniently book online.